I like taking challenges and suggestions when I am cooking and baking. I like to ask people what they think of what I made- texture, flavor, density, etc- and I like to take ideas from other sources, like blogs, newspapers, magazines, and other foodies. I feel that is the only way you can grow and have fun. A simple tweet from Julia of Fat Girl Trapped in a Skinny Body prompted this recipe creation. She pondered of anyone had made Muddy Buddies with Biscoff spread. Biscoff is a cookie based spread- imagine if you took tea biscuits and made a spread out of it. I thought it was an interesting idea so I just had to give it a try. How would a chex mixed snack that is predominantly peanut butter be when you take away the peanut butter and use Biscoff? It will be so amazing!!! I ate way to much of it the day I made it. 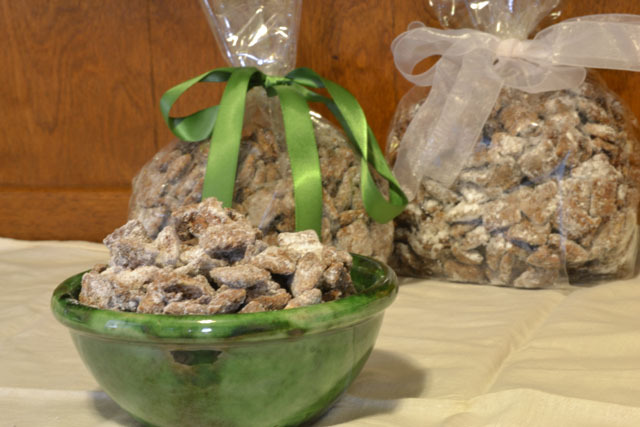 Thankfully, I had the intention of gifting it so I packaged the rest up and that stopped me from eating it all. I was happy to make this since our neighbor’s son is allergic to nuts so I could give some to them since I removed the peanut butter for the Biscoff spread. (Now, keep in mind that this now is no longer gluten free.) 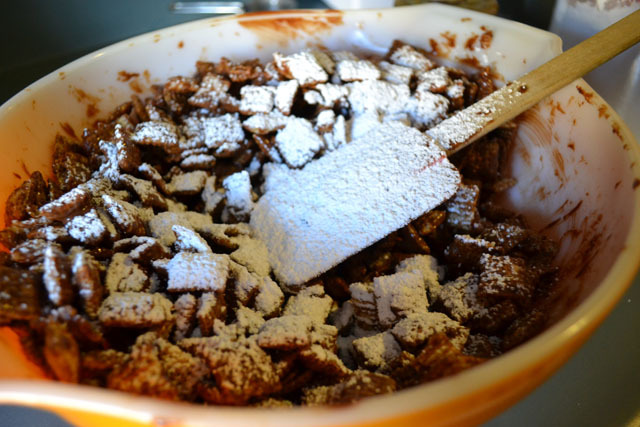 I had to make some changes to the original Muddy Buddies recipe to accommodate the ingredient substitution. I reduced the amount chocolate because Biscoff is not as intense as peanut butter and I didn’t want the chocolate to overtake it. I think there was a good balance to it in the end. 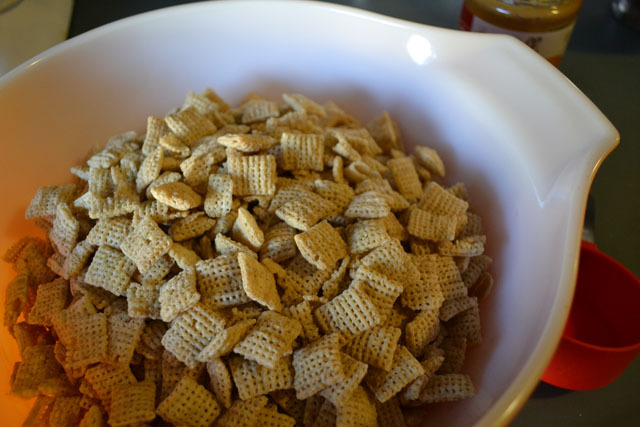 Put the chex cereal in a large bowl or on a large sheet tray. In a small sauce pan combine the chocolate chips, Biscoff spread, butter, and vanilla extract. Over low heat combine all the ingredients as the chocolate chips and butter melt. The end consistency should be smooth and lump free. 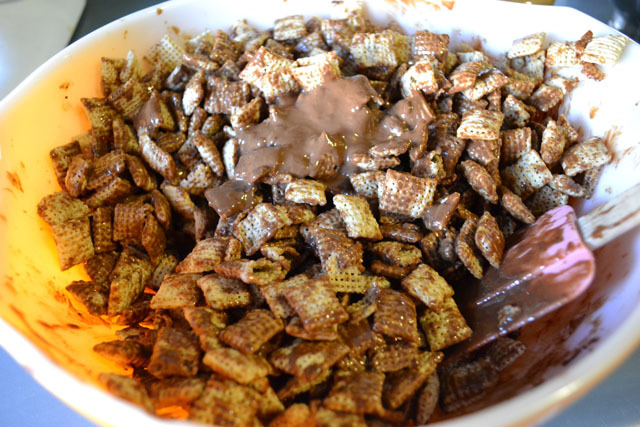 Pour the mixture over chex cereal. 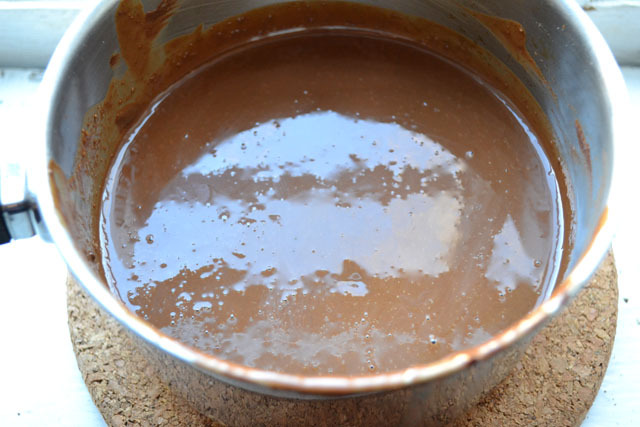 Mix to coat all pieces evenly. 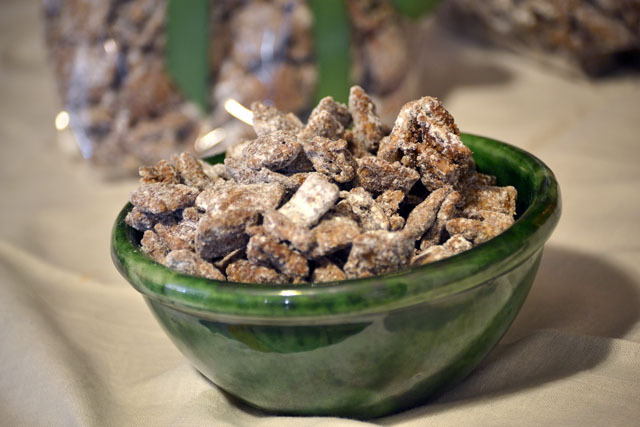 Let cool 10 minutes and then sift powdered sugar over the coated chex. Coat all pieces evenly as well. Let cool completely prior to bagging.